Madonna, Michael Jordan, Sylvester Stallone, Michael Douglas, Diane Sawyer, Hugh Jackman, two NYC mayors, President Clinton and countless others have all been amazed and astounded by the extraordinary close up magic and mentalism of Mio. He has been performing professionally since 1989. Mio has performed at fund raisers, on cruise ships, at world class resorts and at private parties. He was the featured entertainer at Barbra Streisand’s most recent birthday party, hosted by Donna Karan, where he also performed for Woody Allen and Robert De Niro. He has performed at the Miami Heat’s Team Holiday party for 12 consecutive years and looks forward to helping them celebrate their second world championship in a row. “He did things I’ve never seen anyone do. We’ve seen many magicians but he’s the most amazing” says Chris Riley, wife of Miami Heat team president, Pat Riley. Corporate clients have included Citibank, American Express, IBM, BNY Mellon, AT&T, GE, Shell, PepsiCo, UPS, Phillip Morris, TD Bank, Deutsche Bank, and Delta. Mio has performed on cruise ships in Alaska, Russia, Hawaii, the Caribbean, the Panama Canal and most recently was the highest rated performer for two summers in a row on Regent Seven Seas cruises. Born to a show biz family, he has lived in NYC, Santa Fe and Dallas and now he makes his home between Miami Beach and NYC. 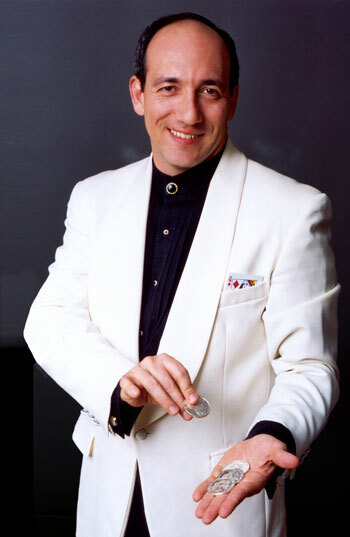 Some of the others who have experienced Mio’s rare combination of magic and mentalism include Bob Costas, Anderson Cooper, Mike Nichols, Joel Grey, Art Garfunkle, Chuck Mangione, Diane Von Furstenberg, Grace Jones, Dwyane Wade, Shaquille O’Neal, Bernadette Peters, Liza Minelli, Gloria Estephan, Penn & Teller, Siegfried, Dan Marino, Emmit Smith, Wayne Gretzky, Mario Lemieux, John Elway, Troy Aikman, Don Shula, Wayne Huizenga, Robert Kraft, John Henry, Mickey Arison, Mario Andretti, Prince Albert of Monaco, Rudolph Giuliani, Michael Bloomberg, Gianni Versace and Timothy Hutton.